To book patient transport call 0300 123 1236. Please contact the surgery reception if you feel you are unable to request patient transport yourself. 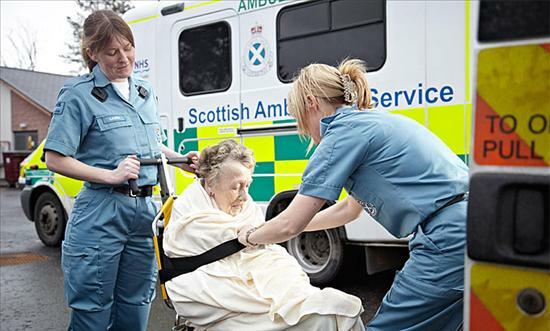 More information on the patient transport service is available from the Scottish Ambulance Service website. If you are not eligible for the patient transport service but do not have the use of a car and find it difficult or awkward to use public transport, you may be able to receive help from the North Argyll Voluntary Car Scheme. The scheme covers the Community Council areas of Seil, Luing, Kilninver and Kilmelford, Glenorchy, Innishail, Taynuilt, Kilchrenan and Dalavich. Users of the car scheme may be taken to the local GP surgery, lunch clubs, church and cemetery, Community Council meetings, social functions, and into Oban for shopping, dementia clubs, to visit family or friends, to the dentist, optician, hairdresser, library, banks, post office, lawyers, church, and even with their animals, to the vet. Passengers make a small donation as a contribution towards journey costs. To access the scheme contact 01852 200 760 which carries a call-minding messaging service or alternatively call Caroline Gillanders, journey co-ordinator, 01852 200388 or visit the scheme webpage. A range of other community transport options are promoted by Argyll and Bute Council on the Community Transport webpage.